SurfGuitar101.com | News: Stories with tag: "aloha-sluts"
Dutch surfpunx Aloha Sluts just released 'Let's get Wild' on the legendary psychobilly label Tombstone Records Holland (Guanabatz, Space Cadets, Nekromantix, Demented Are Go). The album contains the complete 'Return of the Sluts' session, plus some previous unreleased live recordings, demo-takes and more... all remastered to blow up your speaker set! 666% Surfabilly! If ya into Link Wray? Git it! Aloha Sluts new EP on vinyl - Out now! Tombstone Records Holland presents the new Aloha Sluts EP, on 7" vinyl exclusively! A bit delayed, but worth the wait! 4 Songs, raw, loud and stompin' surfabilly! Produced by Sven Lens (from the the Snoop Dogg / Willie Nelson hit 'Be my Medicine') at As Loud As studio in Amsterdam. Cover drawing by the amazing Shawn Dickinson. 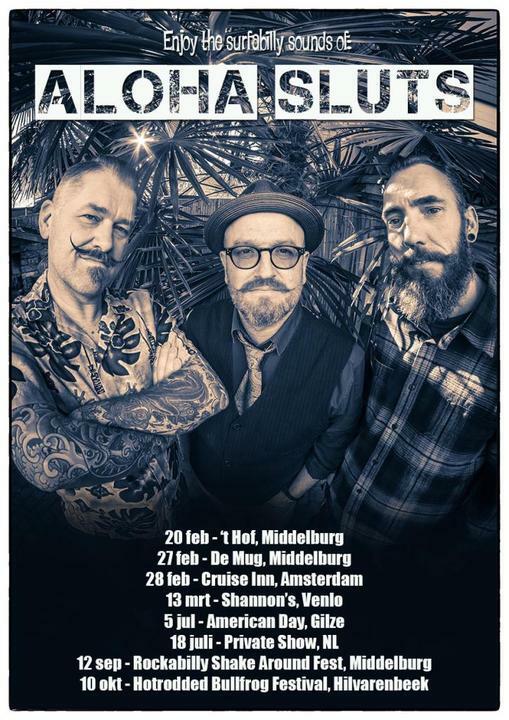 If you are living in the Netherlands (or in Belgium of Germany); Dutch surfabilly trio Aloha Sluts have some gigs lined up. 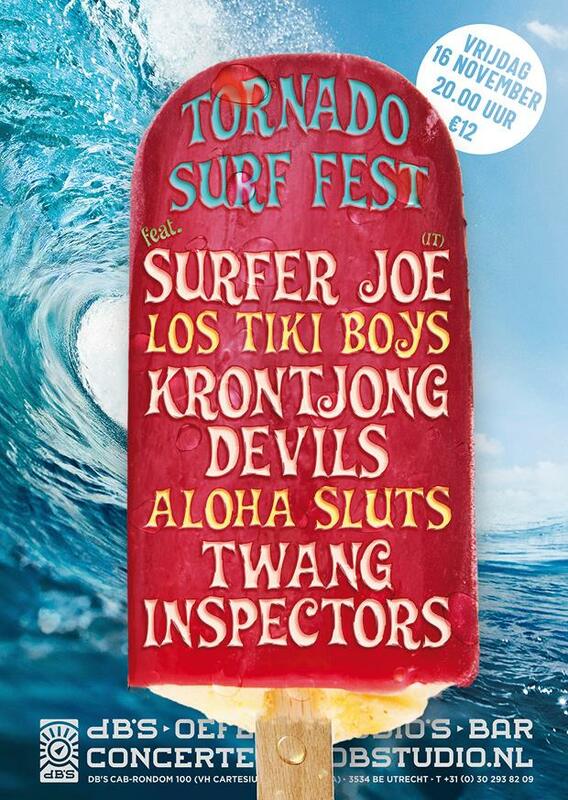 The Amsterdam show wil be a Hawaiian Party with DJ's, tiki-market and more. The band is also recording their debut album in March. More news on that soon.